Image 1. Helen with colleagues – middle back. 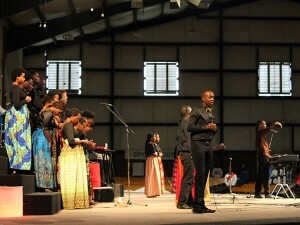 Image 2. 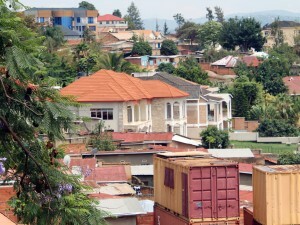 Helen’s guesthouse view of Kigali. 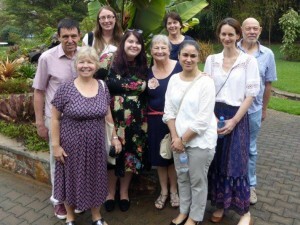 Helen Trouille (3rd from left back row) is part of the Lawyers Christian Fellowship Autumn Justice Team to East Africa. 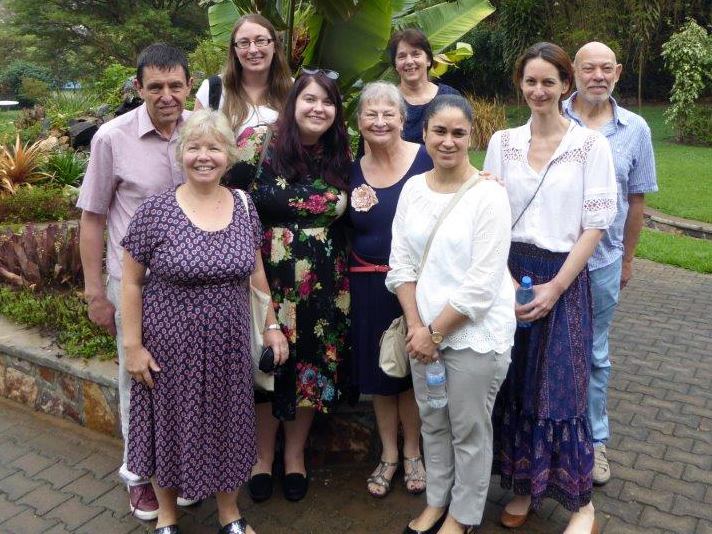 Helen arrived on Saturday 1st October and will be spending a fortnight, with other lawyers to partner with Lawyers of Hope, (Rwanda) and Ugandan Christian Lawyers Fraternity (Uganda) to share fellowship, offer support and carry out training. We’ll be posting updates of Helen’s trip and her prayer requests. Yesterday we visited the genocide memorial. So hard to reconcile the terrible events of 1994 with the forgiving, creative, vibrant society we have discovered. A real miracle has been worked here to bring this country back together. Difficult to speak of the atrocities. We would love you to continue to support us in prayer. Each day, different team members are called upon to share their expertise with the LoH team and their partners, whoever they may be- at the time! Sometimes this can be a bit scary (well, OK, always…) as we don’t really know what to expect, and do not have our text books on board to check things up! Please pray that we can respond appropriately to what we are asked to provide in terms of our legal skills. Please pray that the we and the people we meet can share fellowship – this has been an amazing part of the experience so far! Please pray for the big Christian conference we are to host over the weekend, and that will be taking us right out of our comfort zone! A verse from our bible study tonight: For we are God’s masterpiece. He has created us anew in Christ Jesus, so we can do the good things he planned for us long ago. (Ephesians 2:10). Thank you for supporting us from all those miles away it makes me feel warmly connected – Helen.